The Cazals family first came to Champagne in 1897 when a professional barrel maker from the Languedoc- Roussillon delivered some large barrels and decided to stay. Ernest Cazals put down roots in Le Mesnil-sur-Oger in the Côte des Blancs, married a local, and prospered. In the 1950s his son Olivier bought a house in the village of Oger, a mile to the north, for his son Claude. This house happened to be the former home of Léon Bourgeois, “the spiritual father” of the League of Nations and Nobel Peace Prize winner. The property had a nine acre walled garden attached that led to the back of the Church of Oger. Father and son saw great potential in this site, and began planting Chardonnay vines by their family home. From the 1950s until 1997, the grapes from this site were blended into the other cuvees of Claude Cazals. 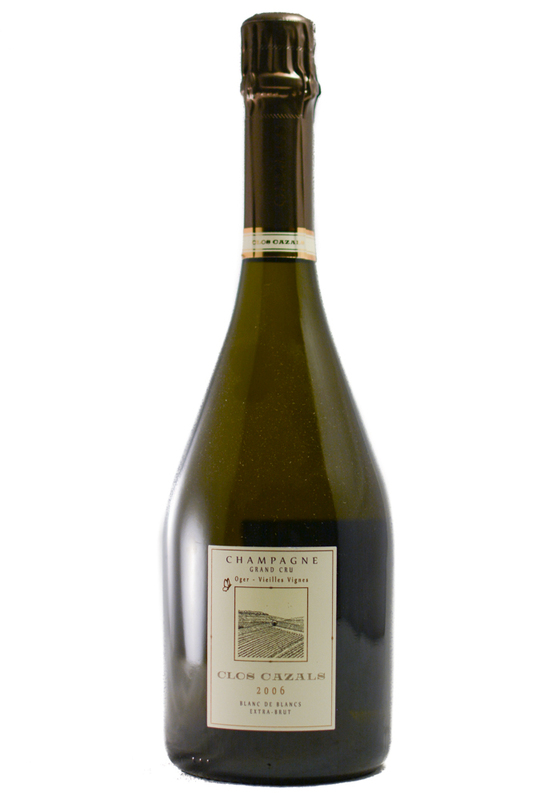 Delphine Cazals had noticed that the grapes grown in the Clos ripened a full gram of sugar riper than the surrounding plots, a strong consideration in cool Champagne. 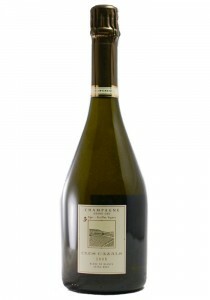 In the 1990s Delphine pushed her father to make a singular cuvee from this site showcasing its unique terroir, and began making this cuvee in 1997. Clos Cazals may be one of Champagne’s best-kept secrets. It sits tucked away in the Mesnil-sur-Oger, a Grand Cru village that is located in the Côte des Blancs just south of Epernay. In Champagne, a village is considered Grand Cru when it has been scored 100% by the CIVC (Comité Interprofessionnel du Vin de Champagne) for the quality of its grapes, a stringent and highly acclaimed achievement. Mesnil-sur-Oger has undoubtedly earned that accolade, evident in its Chardonnay grapes that thrive in these unique soils.